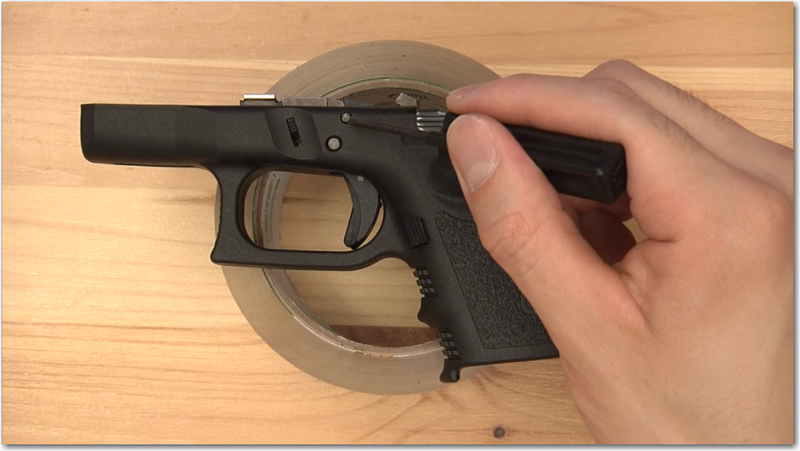 Learn how to install the Glock extended slide stop release mod in under 5 minutes with just a Glock tool (or punch). Why an Extended Slide Stop Release? One of my essential Glock modifications is swapping out the slide stop release/lever for an extended version. 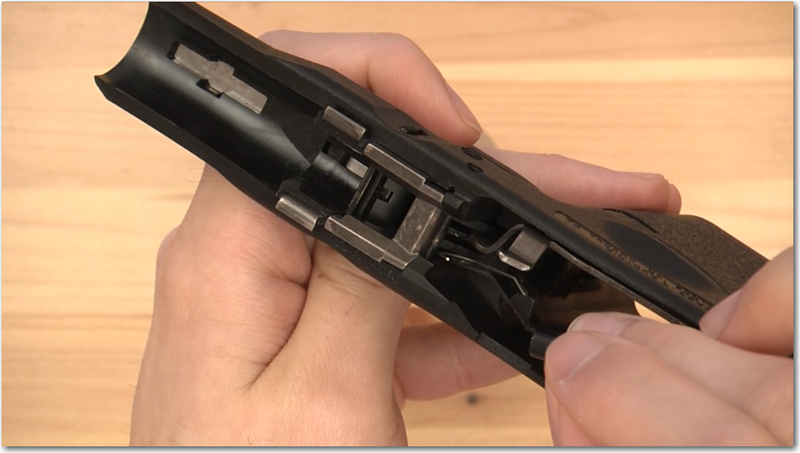 I like using the slide stop to release the slide instead of the slide racking method when I empty a mag and am reloading. And I find it’s just so much easier when it’s the extended version with the extra shelf for my thumb. 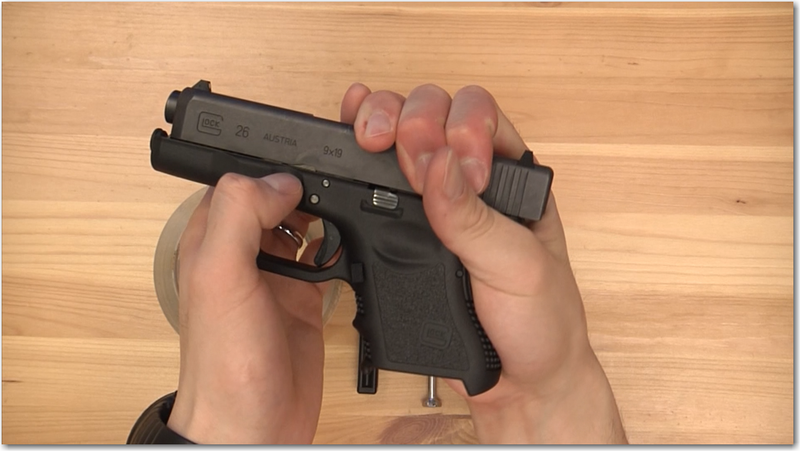 Just a terminology note…we are swapping out the slide stop and not the slide lock, which is otherwise known as the takedown lever. 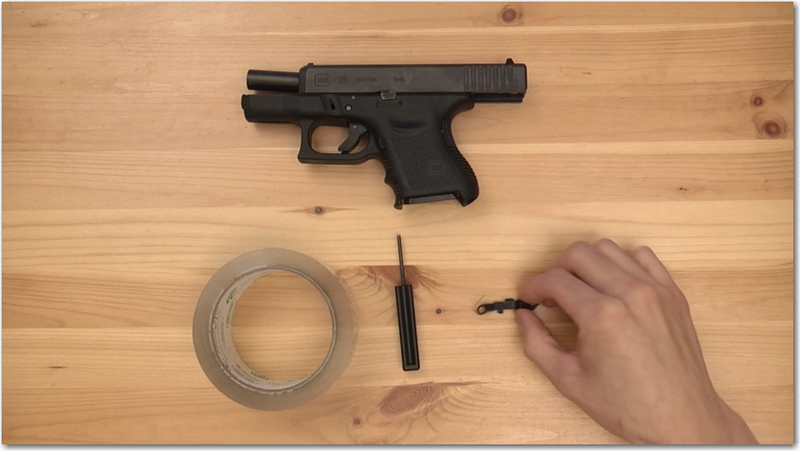 Glock Tool ($8): Used to take out and put back the two pins in the frame. (Tactical) Tape: Makes it easier to remove the pins. 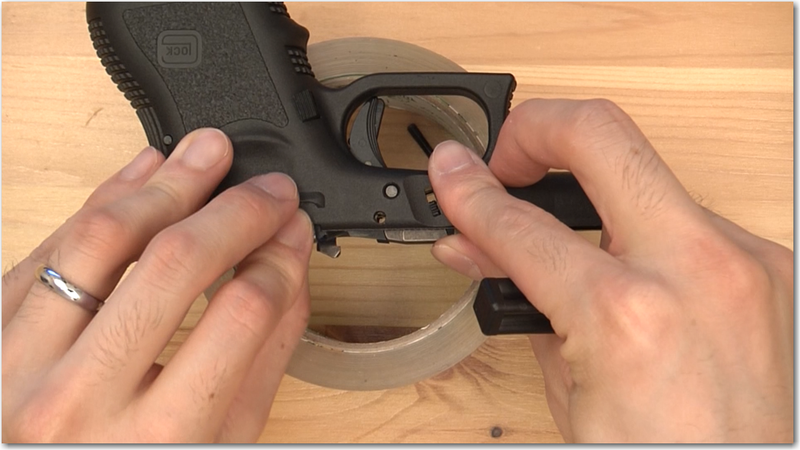 First conduct a safety check and remove the slide from the frame via the takedown lever (slide lock). You can put away the slide since we only need the frame for this install. 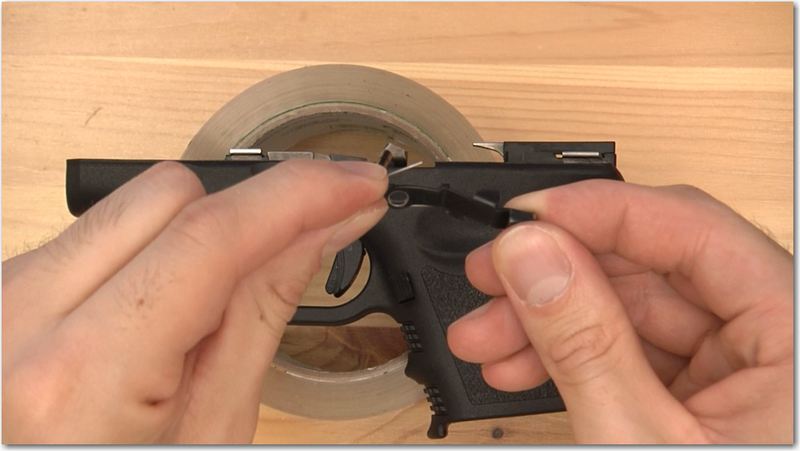 Now we’re going to remove the two pins with our Glock tool. Order matters and my favorite way of remembering is looking to the top small pin and thinking of FIFO (first in, first out). Use your tool and push out the top pin first. I like using the roll of tape since it elevates the frame and gives the pin a place to go. The larger pin has a little trick otherwise you could be pressing on it all day and try to resort to a hammer (don’t). 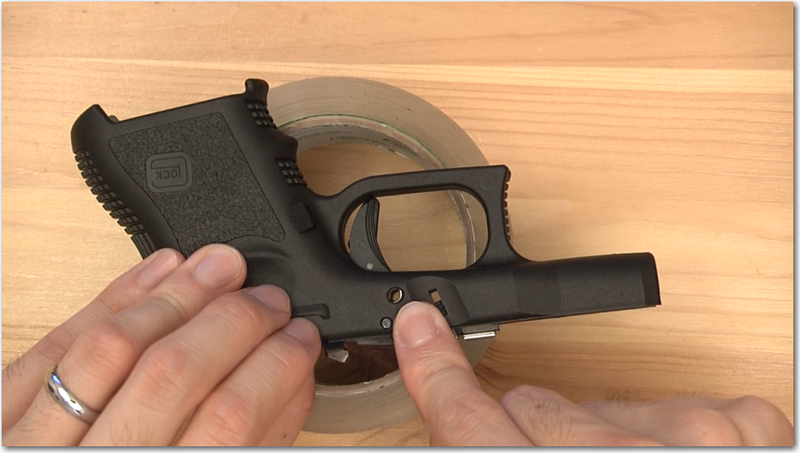 The trick is to move the slide stop lever up and down while maintaining pressure on the pin. 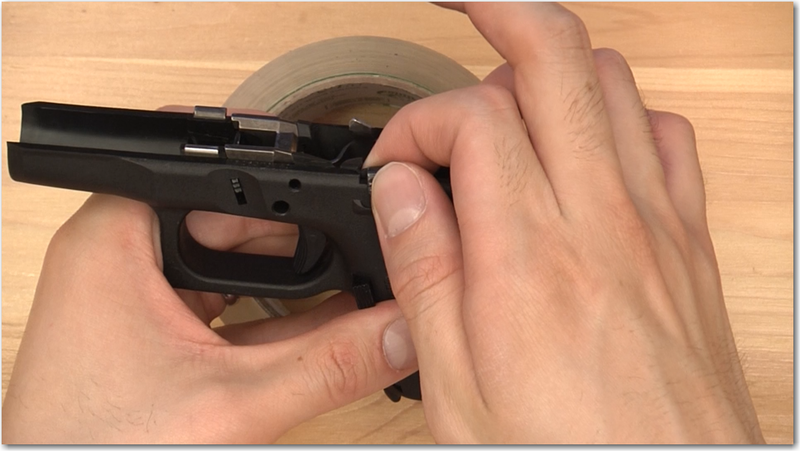 Once the two pins are out, you can just take out the stock slide stop lever/release. Don’t get carried away and put in the extended slide stop lever, since you’ll need to put in the small pin first. The reason is that the pin of the slide stop lever has to run underneath the small pin. 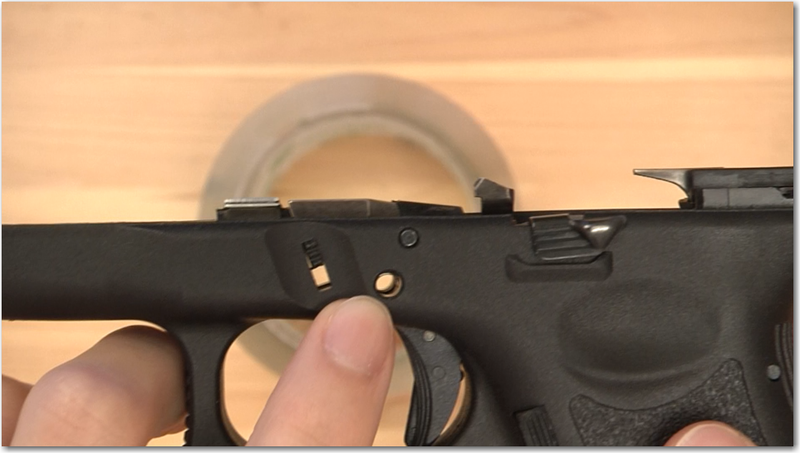 Once the small pin is in (I find I can push most of it in with just my finger pressure, but that I need to use the backend plastic portion of the Glock tool to make the rest of it go in), I put in the extended slide stop release. It will go to the leftmost section against the wall of the frame and underneath the small pin. Now all you have to do is install the big pin. I like to look at the big pin hole to see if there’s an obstruction from the slide stop lever. Usually it will be at the top when you face it. Might be easier to see in the video. I rotate the frame so the guts are facing me and put in the big pin while wiggling the slide stop lever. 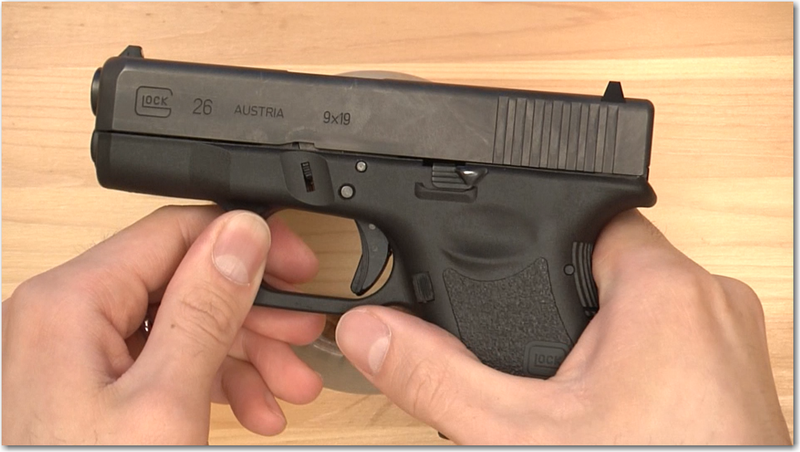 I find that the pin will go in easily without needing the Glock tool. Reassemble the slide back on and you’re done! 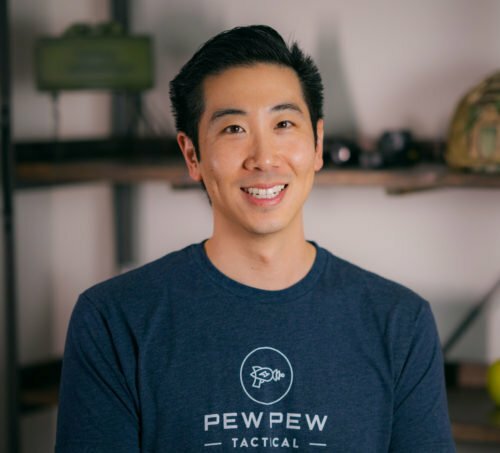 Let me know how your install went and how you like your extended slide stop release. Eric, thanks for the tutorial. Everything went as easily as your directions said it would. The roll of tape was a great recommendation. Glad I could have helped!